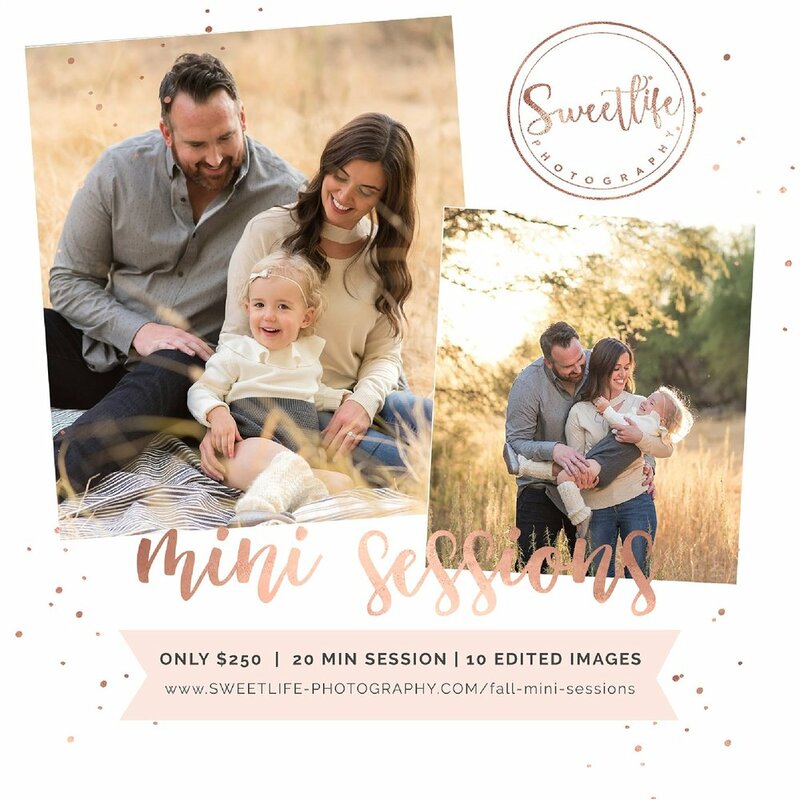 Mini sessions are super quick - just 20 minutes. In that time, I prioritize getting traditional, everyone looking at the camera and smiley shots, as a family. If everyone is in a good mood and we get those all right away, we move onto candids and more natural moments, which are my jam! Like my Signature Family Sessions, you still get to download and keep your high resolution digital files and have an option to order photo products directly from your online gallery. Check out my post on MINI SESSION vs. FAMILY SESSION to determine which session type is best for you! Mini sessions aren’t just for families looking for great photos for their holiday cards, it’s a chance to try out a session with me! If you’ve been thinking about doing a session but you’re not sure if you want to spend the money or spend a full hour in front of the camera, this is a great opportunity! Everyone is welcome - yes, even your fur baby as all Fall Mini sessions will be outdoors! Keep in mind though, I do limit my mini sessions to immediate family only because 20 minutes just isn’t enough time to do extended family portraits. Your gallery will have 10 high resolution digital downloadable images. You are welcome to order custom photo products and holiday cards through my awesome print lab or somewhere else on your own. Where are this year’s mini sessions? The exact locations will be revealed once you're booked; but, I have TWO beautiful, brand new spots picked out in North Phoenix and Scottsdale. I will send a detailed description regarding the location of your session once you book, including where to park and how to find me! You will receive your link to view your images within two weeks after your session date. I have partnered with a gorgeous photo card boutique to make ordering your 2018 holiday cards easy. Look for the Holiday Card Ordering link in your delivery email to preview and drop your favorite images into card templates before ordering. I'm even offering a 20% discount on all orders through the SweetLife Storefront. There are morning and afternoon time slots on both Mini session dates. Booking is on a first come, first serve basis so the dates and time slots you see on the booking site is all I have available!